From this book, the contingency planner can understand more than just how to test: why to test, when to test (and not test) and the necessary participants and resources. Further, this book addresses some often-ignored, real-world considerations: the justification, politics and budgeting affecting recovery testing. By having multiple authors share their respective areas of expertise, it is hoped that this book will provide the reader with a comprehensive resource addressing the significant aspects of recovery testing. 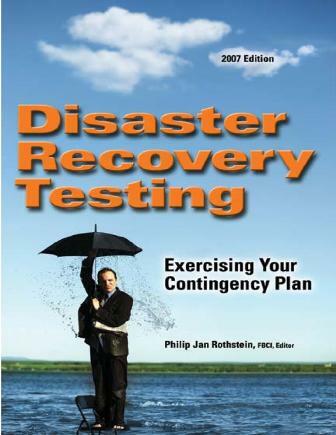 This edition of DISASTER RECOVERY TESTING: EXERCISING YOUR CONTINGENCY PLAN is a reprinting of the version originally published in 1994. In the fourteen years since I first began development of this book out of a sense of frustration with the lack of published resources on the subject, Business Continuity as a discipline, as an industry, and as a professional practice has evolved dramatically. In addition, the role of exercises in the continuity management program has grown significantly. And yet – more aspects of business continuity have stayed pretty much the same over the years. Of course, there have been some changes – in 1994, the Internet was incidental to most organizations; today, it is indispensable. Email use was limited. Cell phones were prohibitively expensive and impractical. Amazon.com was a struggling startup. And don’t get me started on iPods! On the other hand, there are still plenty of organizations who have yet to implement meaningful continuity structures, let alone to conduct effective exercise programs. After fourteen years, nobody else had stepped up to the plate and written a book to replace it. I have said for as long as I can remember, “An unexercised contingency plan can be worse than no plan at all.” I believe this more than ever. It is far too easy to document a plan which looks good on paper (or on a screen), tuck in lots of impressive content, and assert an enterprise is protected from disruption. In reality, without exercise, there is no evidence that your plan and its supporting procedures will be functional when called upon; even more critical, there is no assurance that the underlying assumptions and strategies would be appropriate and effective. The exercise process assures your team members fully understand your plans and procedures, along with their roles and relationships; that your resources and infrastructure will be in place and sufficient; that your plan and its underlying assumptions are up to date and adequate. There is no substitute for exercising your contingency plan! There are those of us who would argue that testing the business continuity or disaster recovery plan is at least as critical as actually developing the plan in the first place. Without testing, the continuity plan is little more than an exercise in speculation – or even futility. After all, how else could any organization assess the effectiveness of a continuity plan, short of the “ultimate” test: experiencing an actual disaster? Regrettably, many organizations find it difficult enough to develop a plan, let alone to find the resources and time to conduct meaningful testing. Recovery testing has, for these organizations, held many similarities to the classic dilemma of application software documentation: always budgeted at the end of the project, yet seldom enough time or money left to do a decent job. Why is it that some organizations never get around to recovery testing, and others test aggressively? Where recovery testing is planned, budgeted and conducted, the predicament is, as often as not, a dearth of practical experience or knowledge. The typical disaster recovery book has a chapter near the back entitled “Testing and Maintenance,” or something like that. In a handful of pages, the author communicates the desirability of testing, the basic types of tests, and little more. This is not meant to be a criticism of these valuable books, so much as an observation that they are usually focused on plan development and implementation. This book does not attempt to convey the process of recovery plan development – it assumes that the reader at least understands the mechanics of disaster recovery / business continuity / contingency planning. Philip Jan Rothstein, FBCI, is President of Rothstein Associates Inc., a management consultancy focused on business continuity, disaster avoidance and recovery, and crisis management, founded in 1985. He was elected Fellow by The Business Continuity Institute (BCI) in 1994 in recognition of his substantial contributions to the business continuity industry. 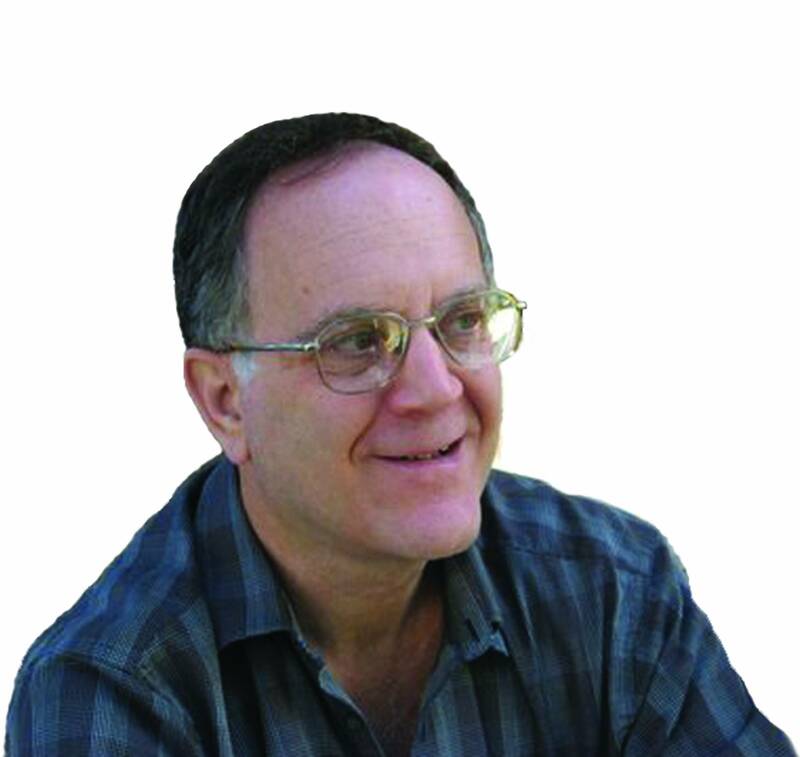 Mr. Rothstein has edited, authored or published over 100 books. He has published over 200 magazine articles. Mr. Rothstein is a frequent speaker on business continuity, disaster avoidance, disaster recovery and crisis management for top corporate management and at industry conferences. He is sought after by the media: he has been interviewed on dozens of radio and television programs, and by well over a hundred newspapers and magazines worldwide. He has served from 1994-1999 on the U.S. Advisory Board of Survive! The Business Continuity Group; from 1987 to 1994 on the Business Advisory Board of the Contingency Planning Exchange; and, from 1996 to 1998 on the Advisory Board for the Westchester County American Red Cross Disaster Management Program. He has served as a member of the Board of Advisors of the City College of New York School of Engineering from 2002 – 2006. He is Publisher of Rothstein Publishing, the premier content provider for the growing, global discipline of Business Continuity Management and related fields. Since 1989, we’ve published an extensive, informational suite of books, templates & software about Business Continuity, Disaster Recovery, and Emergency, Risk, and Crisis Management. He holds a B.S. degree in Computer Sciences from the City College of New York, School of Engineering with Honors in Human Factors Engineering and Psycholinguistics, with extensive graduate studies in Business Administration and Industrial Engineering. In December 1992, a Northeaster ripped its way through the east coast of the United States causing severe flooding and business disruption. Some companies were put out of business or significantly hampered to the extent their business could not function. On February 26, 1993, a bomb exploded in the World Trade Center in New York City. The result of this disaster included six people dead; over one thousand injured; 50,000 people displaced from their work locale; and 950 businesses put on the street. In addition to spending eight weeks around the-clock and significant dollars to make the World Trade Center habitable, an additional $70 million was spent to erect an interim air conditioning plant to provide temporary cooling to the World Trade Center during the summer. Business loss was estimated at $600 million and many believe that figure to be conservative. “Perhaps the World Trade Center disaster had an even greater impact than described above. It took away whatever innocence we had that a terrorist attack would ever befall us at home. It also reinforced in a most tragic way the need for preparedness in the event of catastrophic circumstances. Most disasters are not the work of terrorists but of mother nature or human error. The impacts of disasters take many forms with human and business devastation all too often the result. In business, we refer to these phenomena and the ability to recover from them as disaster recovery or contingency planning or business continuity. Regardless of label, this translates to the ability to conduct business at an alternate location when the primary business facility is no longer functional. Business continuity is a necessity. Testing is crucial to business continuity. This book will help you work through a variety of testing scenarios and methods to better understand the requirement for a workable contingency plan. In examining these alternative test scenarios, you will in turn be able to better plan for your own business. Viable business continuity plans need not be a three-inch book. They should only contain what is absolutely necessary for business resumption. First and foremost they must always address life-safety of the individual. Interviews with those who lived through Hurricane Andrew and other catastrophes have articulated two common themes: the well-being of the employee and immediate family is paramount; and, the recovery plan book is not used when it represents a symbol of an audit or regulatory requirement. It is used when its contents define what is required to recover. No two businesses are identical. One business’ needs may be very different from those of another. This book will walk you through various test scenarios and approaches. It is designed to be a guide, to help you gain optimal results in business preparedness, to identify and quantify base needs, to facilitate response to the difficult questions of who, where, what, when, and how. A business continuity plan that is not tested is of little to no value. Testing and learning from the experience is the only way to perfect the plan; to ensure the business needs are addressed. Ideally, a perfect test addresses all business requirements and thoroughly involves the real users. Anything less than optimum presents levels of business risk. Disaster Recovery Testing: Exercising Your Contingency Plan, written jointly by thirty disaster recovery professionals, drives home the importance of testing the company’s contingency plan, discussing necessary management skills, effective use of resources, and the elements of successful testing in various settings. The authors assume that a disaster recovery plan has already been developed and approved. The book’s initial chapters are similar to what one might find in a disaster recovery planning book, including how to justify, budget, and manage the process – but all are geared towards testing. One important chapter addresses the benefits of client participation. Disaster recovery managers know how important it is to develop a partnership with the client business leaders to address adequately all recovery aspects of business functionality. Various testing methods and processes are also addressed. The authors provide numerous checklists and suggest topics to cover in any disaster recovery planning document. These lists alone make the book worthwhile. Overall, … the material focuses much needed attention on disaster recovery testing. It is written in four well-planned, easy-to-follow sections, with numerous realistic scenarios and ideas to consider. This book will provide useful guidance for management of the entire disaster recovery testing process. – – – SECURITY MANAGEMENT Magazine. even a sample test plan is included.